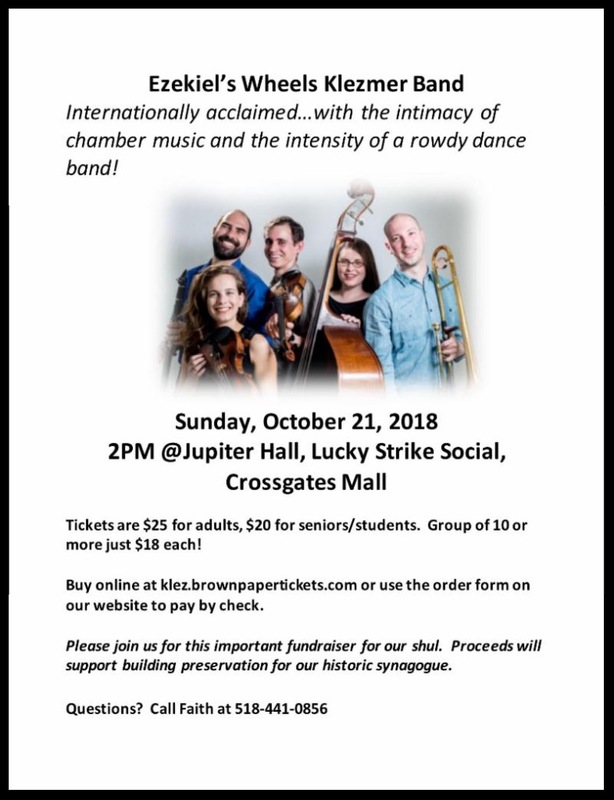 Only 8 Days until our Klezmer concert! Please join us after services for kiddush and great community kibbitzing ! Have you purchased your tickets?